Engagement and wedding photos have a tendency to be in pretty stereotypical places-- the beach, at home, in the woods etc. Here are some fun, unique places around the bay to spice up your shots. 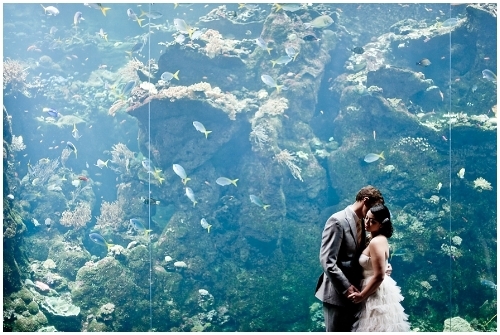 How about some romantic shots next to the California Academy of Sciences fish? Or perhaps on top of the green dome? Or the beautiful Conservatory of Flowers. What a sanctuary! For an interesting angle, shoot from Alcatraz?! Watch the waves crash in front of the Brixby Bridge in Big Sur as you gaze longingly in your lover's eyes "click goes the camera." Mount Diablo is prime for greenery and sweet photos. So gorgeous.